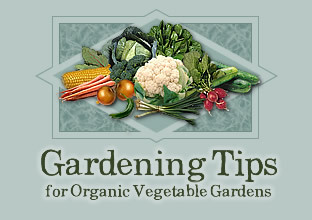 Spring greens are generally among the first items to be planted each year. They are easy to grow, they mature quickly, and they are good sources of vitamins and minerals, (Especially vitamins A and C and calcium.) Spring greens are delicious raw in salads or cooked as a tasty side salad. Spinach, mustard Greens, and Chinese Cabbage are popular choice to grow. They do best in cool weather, and like soil enriched with plenty of compost. Plant seeds in flats for transplants, or direct seeds 1/4 to 1/2" deep. The earliest spinach will be produced by direct seedling in the late fall, after the soil is cold. By planting strictly in cold weather you can avoid downy mildew and soil borne fungal diseases. Hot weather will make the leaves taste bitter and the plants bolt, (go to seed.) Harvest frequently by picking side leaves of spinach and mustard, and cutting whole heads of Chinese cabbage. Take care not to damage the growing tips of plants when you harvest side leaves. Aphids can sometimes be a problem, and may spread diseases like mosaic virus. Use a hose to spray the tiny white insects off the leaves, or spray with a very dilute solution of dish soapy in water. Plant kale in the spring to let it get a good start, but don't harvest until after the first hard frost. It will last though very cold weather. For a great late season garden salad, steam it lightly, shred in a few carrots, and pour on salad dressing an hour or two before serving. Soil borne diseases occasionally show up as a soft, rotten patch on the stems. Diseases plants should be promptly removed and burned. Do not plant members of the cabbage family in the same spot year after year to minimize this problem. You may often see cabbage butterflies circling your plants. Look very closely and you will see their well camouflaged green larvae. Pick them off, or spray with Bacillus Thuringinsis, a bacteria which attacks the intestinal tract of caterpillars, and makes them stop feeding and die within a few days. It does not harm animals or other insects. The bacteria can be purchased as a wettable powder and may be sold under a brand name such as Thuricide.